Congratulations! 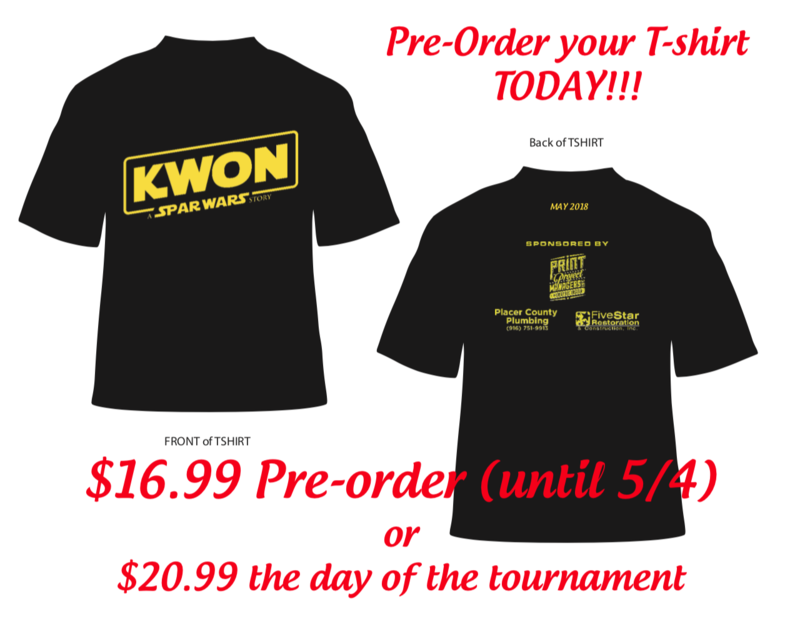 You just completed your pre-sale order for the 2018 Pacific 5 Star KWON Tournament T-shirt. It will arrive shortly and with your name on it! The office will notify you when they arrive.